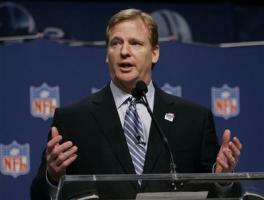 See the gallery for quotes by Roger Goodell. You can to use those 8 images of quotes as a desktop wallpapers. Too much of our society looks for people to fail. Uncertainty's not good for anybody. We will always make sure player health and safety is our No. 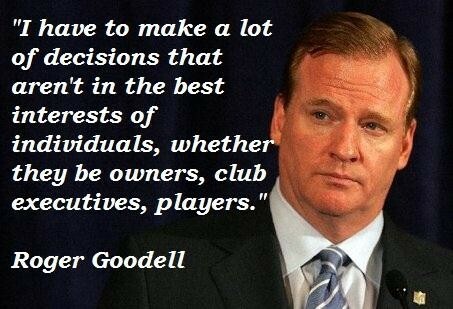 1 priority in the NFL. We're in a leadership position in sports. People look up to the National Football League. When you're thrust into litigation, you obviously have to make sure you're prepared to deal with that. You know that I'm always a proponent of doing things differently. I learned in high school that I was going to have to outwork people. I remember running around the track, training for football, and a faster guy ran past me. I just figured, I can outlast him. If I work harder than him, I'll beat him. And to this day I overprepare. The way you continue to be a successful business is you don't wait for the car to go off the cliff. You have to manage yourself. And make sure you do it in the right way so you are not making decisions in crisis. There are lots of businesses that are well in excess of $9 billion that have gone into bankruptcy, that have been mismanaged. And that has not served anyone very well. To me, what I love about the draft is; first, you see the young men who are realizing their dreams that they've worked so hard for. That's a pretty cool thing. You saw the emotion from some of these guys the other day. And then, the second thing is this total sense of hope and optimism. And, I think that's great for everybody. 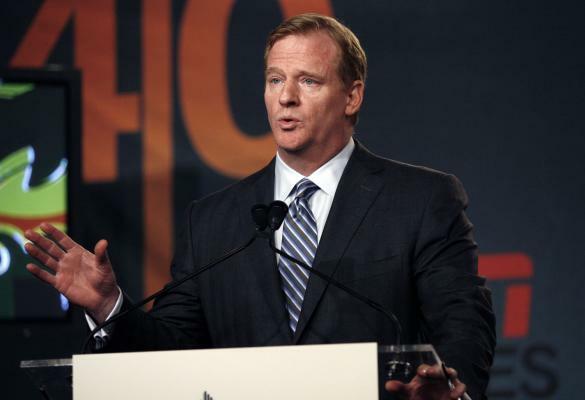 What is true of the NFL is that it has been well-managed over the years. And that has been beneficial to the fans, it's been beneficial to the game itself, it's been beneficial to the players, coaches and everyone involved. When you're talking about a trade you're saying, 'Is it good for this team or that team, did they give up too much?' That kind of debate is great for the game. You do not have to be convicted or even charged of a crime to be able to demonstrate that you've violated a personal conduct policy, and reflect poorly not only on themselves, but all of their teammates, every NFL player in the league, and everyone associated with the NFL. I think when someone is injured in your family, you want to speak to the individual and you want to hear their voice and you want to make sure they are OK. 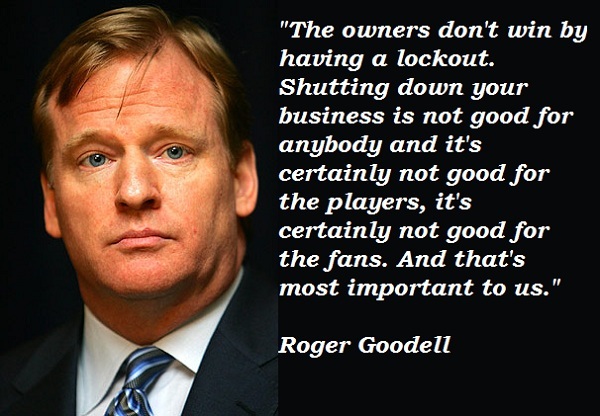 The owners don't win by having a lockout. Shutting down your business is not good for anybody and it's certainly not good for the players, it's certainly not good for the fans. And that's most important to us. Change before you're forced to change. Every game in the NFL is important. HGH testing is happening in Olympics. The science is there. It is a valid test. I am awake a lot of nights. I don't expect to try to get people to like everything I do. I want them to respect what I do. I have to make a lot of decisions that aren't in the best interests of individuals, whether they be owners, club executives, players. I hold head coaches accountable. 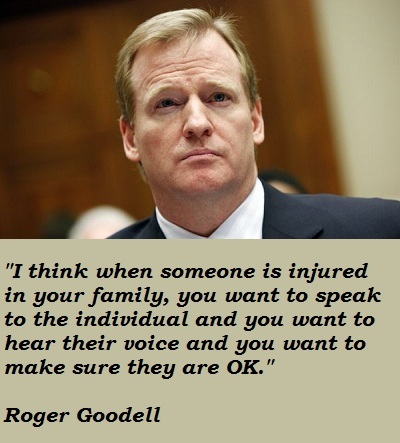 Much more quotes by Roger Goodell below the page. I spent a lot of time in the school psychologist's office. I didn't apply myself. My mother thought I had learning disabilities. I take my responsibilities very seriously. I talk to players all the time. I think the state of the NFL has a very positive outlook. I'm very fortunate, and I know that. I've spent my life following my passion. It is a privilege for me to serve the NFL. It is the only place I have ever wanted to work. 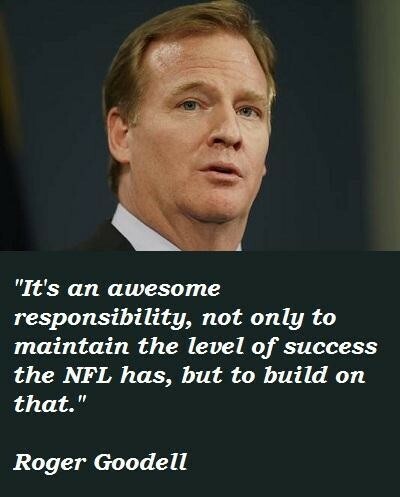 It's an awesome responsibility, not only to maintain the level of success the NFL has, but to build on that. It's not just the NFL. Every other league has a draft. It has been fundamental to the success of professional sports. 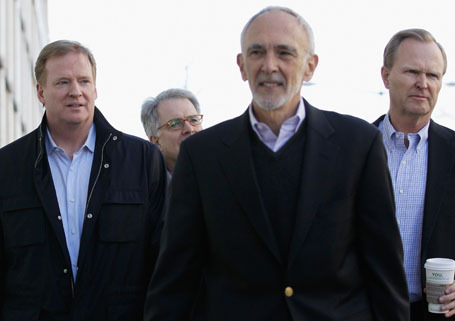 My job is to protect the integrity of the NFL and to make sure the game is as safe as possible. No one is above the game or the rules that govern it. Respect for the game and the people who participate in it will not be compromised. The NCAA has to establish their own rules and enforce their own rules.